October 3, 2017 – Ashland, Va. – Morooka USA is the only rubber-track carrier manufacturer to design and build a complete line of carriers dedicated to the utility industry. The full-line of new Morooka utility models ranges in aerial capacity from 42 to 125 feet and were exhibited at the 2017 International Construction and Utility Equipment Exposition (ICUEE) October 3-5 in Louisville, Kentucky. 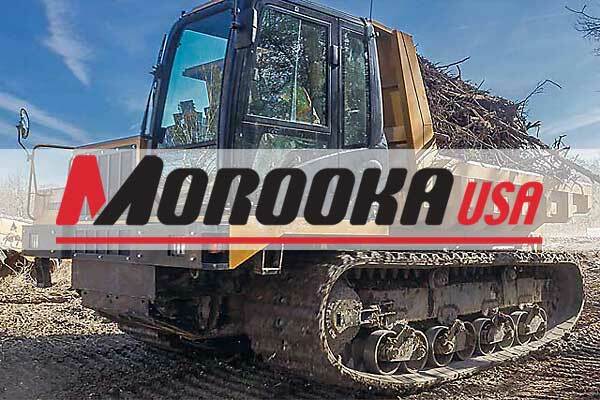 Specifically designed for aerial installation and manufactured at Morooka’s Virginia facilities, the carriers offer the industry high value beginning with competitive pricing and coast-to-coast product support, since all models are U.S. built and powered by Caterpillar and Kubota engines. Four Morooka utility carrier models will be on display. The MST1500VDL accommodates aerials up to 50 feet long. The 4500VDL provides a work platform for aerials up to 125 with 19 foot 5 inch rear frame rails for maximum space on the toughest of installs. Morooka carriers can also be fitted out as personnel or tool carriers, among many other options.